Hi, I'm Manda Denny and I am your local therapist for Bark Busters Home Dog Training Leeds. I’m happily owned and loved by 4 border collies. I'm a long-time dog trainer, qualifying at an Advanced level with The Dog Training Instructors Course (DTIC) and also the Pet Dog Training Institute (PDTI) in the early ‘noughties’. I now also train people to become pet dog instructors as well as people to train their own dogs. 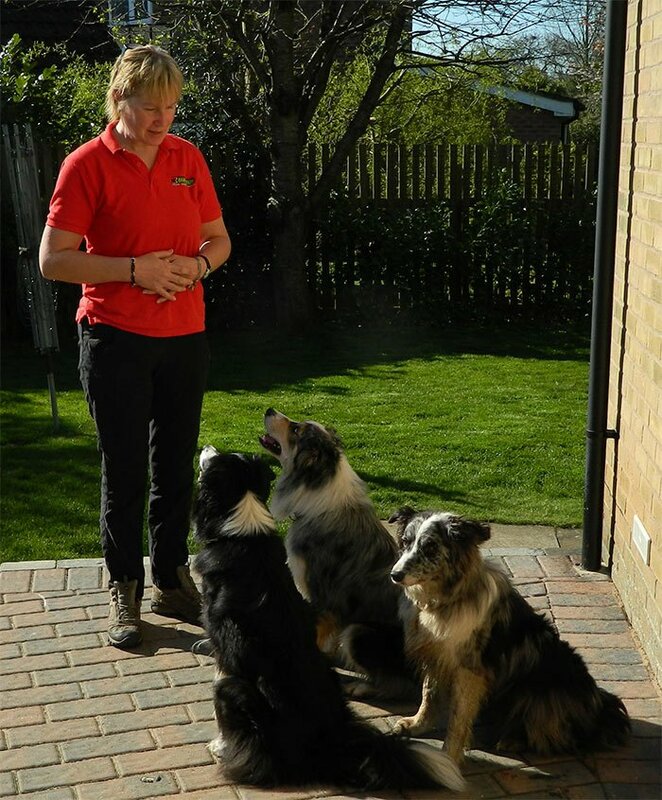 I've run regular dog classes for years, as well as masterclasses and furthered my career and joined Bark Busters back in 2006. The route to good dog training and behaviour is creating a learning opportunity. Make it easy for your dog to learn and you will make it easy on yourself. Dogs, like people, do not handle stress. Barking, boisterousness and destructive behaviour, for example, is often a symptom of our dogs failing to understand what we expect or desire of them. Like us, they deserve to have an easy life. In order to gain that easy life we have first to understand what is going on in our dog’s head. I can help you with that so you are able to communicate with each other. Your training program will be just that… YOUR training programme, tailored to you and your dog. At Bark Busters we have long understood that cannot fit all so we look at everything that is going on in your dog’s life. My methods are positive, rewarding, humane and totally hands-off, until it's time to give your dog a fuss to reward the good behaviours. This approach is why I have been engaged to run classes for re-homed rescue dogs and why I have run sessions for rescue staff and vets in the understanding and handling of stressed dogs in their care. I don't just deal with dogs that pull, or who jump up or bark. I take a holistic approach to your situation with your dog which allows us to see success with more the more complex challenges such as Separation Anxiety and Aggression. I can help you train out unwanted behaviours, allowing you to train in new, desirable ones. I myself enjoy participating in a number of dog sports, and the skills you will work on with me really can allow you to go on to even very high drive activities if you want to. Just ask me and I'll show you how. You only pay once and I return free of charge until you're happy that the problem is resolved. Not only that, if your dog develops a different problem it's all covered on the guarantee too, at no additional cost.